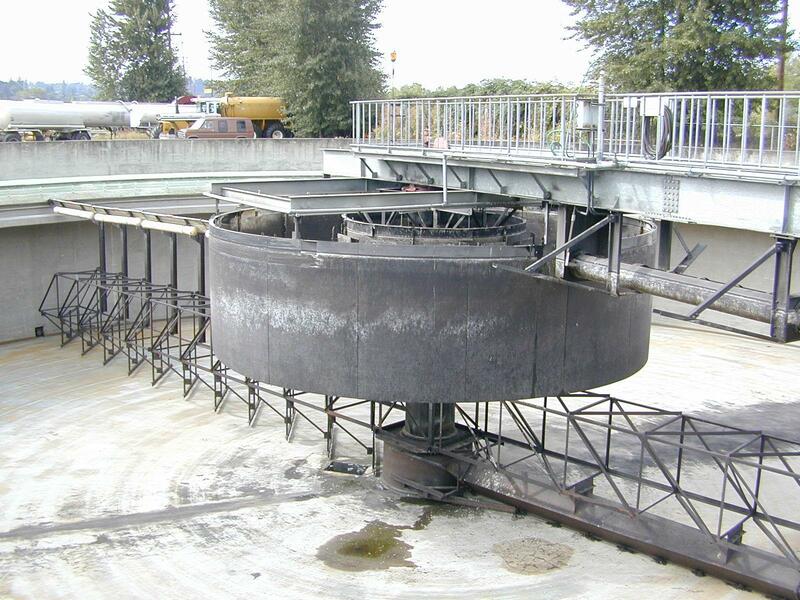 The function of the secondary clarifier is to separate the activated sludge solids from the mixed liquor. These solids represent the colloidal and dissolved solids that were originally present in the wastewater. 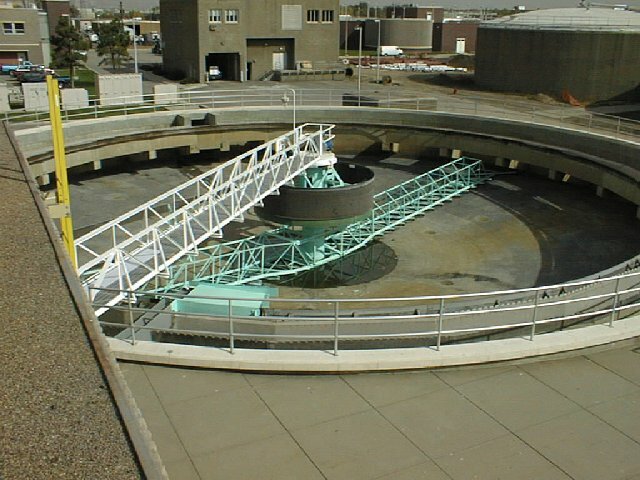 In the aeration unit they were incorporated into the activated sludge floc, which are settleable solids. The separation of these solids, a critical step in the activated sludge process, is accomplished in the secondary or final settling tanks. 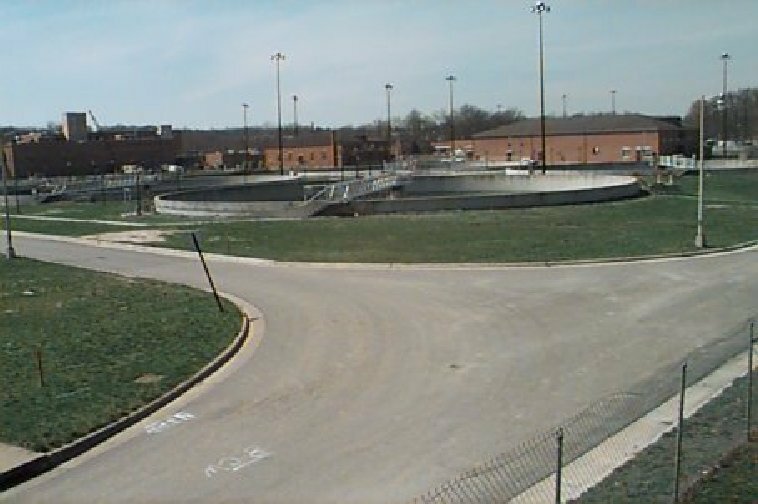 These tanks are similar in design to the mechanically cleaned primary sedimentation tanks but with a surface settling rate not to exceed 800 gallons per square foot per day. The cycle of sludge removal from the secondary tanks is much more important than with primary tanks. Some sludge is being removed continuously to be used as returned sludge in the aeration tanks. 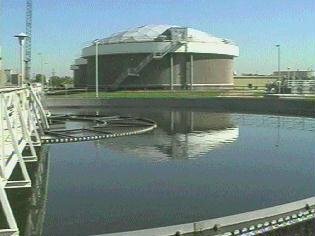 The excess sludge must be removed before it loses its activity because of the death of the aerobic organisms resulting from lack of oxygen at the bottom of the tank. 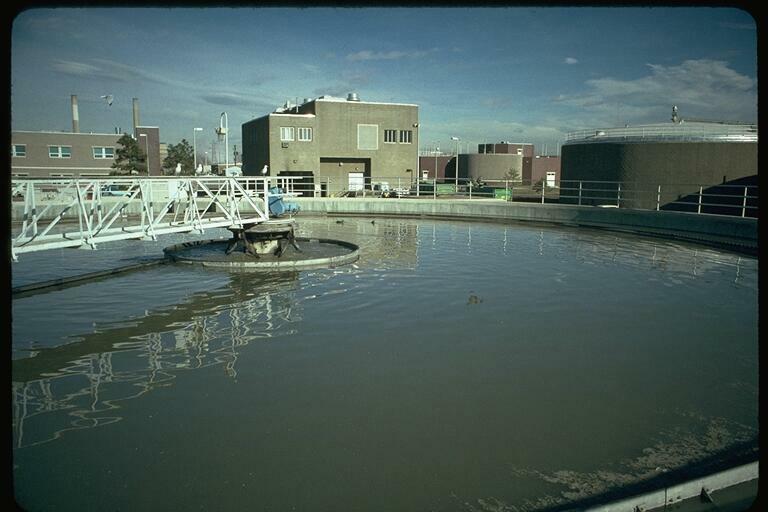 Anaerobic sludges in the final clarifier can cause "rising sludge". This should not be confused with a bulking sludge. Rising sludges are a result of denitrification and septicity. It is possible, where facilities are available, to reactivate return sludge in separate reaeration tanks before addition to the wastewater. However, it is much wiser to retain the activity of the sludge by prompt withdrawal from the tank. The purpose of return sludge is to maintain a concentration of activated sludge in the aeration tank sufficient for the desired degree of treatment. Ample return sludge pump capacity should be provided since the return sludge volume may range from 10 to 50 percent of the volume of wastewater being treated and sometimes more. For a conventional plant, the percentage is usually between 20 and 30 percent. The best concentration must be determined for each plant by trial operation and should be carefully maintained by controlling the proportion of return sludge. The maximum concentrations is limited by the air supply and wastewater load. If solids area allowed to build up, the air and food requirements will exceed those available and an upset will occur. 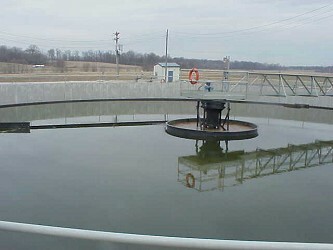 Excess activated sludge should be wasted as required to maintain the desired solids concentration in the aeration tank. This can be done by either withdrawing mixed liquor directly from the aeration tank or to waste from the sludge return line. The wasted mixed liquor can then be discharged to a thickening tank or to the primary tanks where the sludge settles and mixes with the raw primary sludge. The waste sludge, usually from the sludge return line, is further thickened by final sedimentation, centrifuging, or flotation thickening and then treated by biological or chemical means. 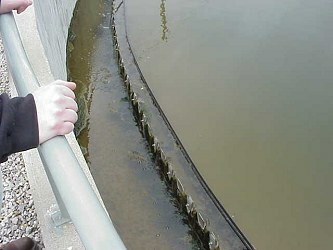 The above steps are essential in the operation of an activated sludge process. 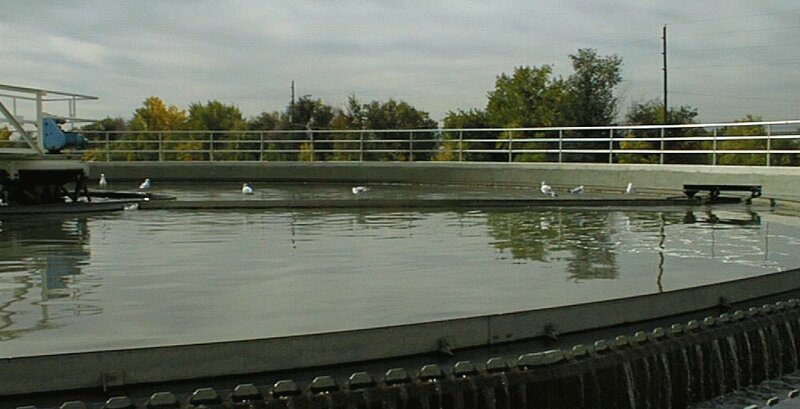 Nevertheless, the operator of a plant should have a large degree of freedom or flexibility to modify the operation of an activated sludge plant to achieve the required treatment. The modifications are expressed in terms of the level of solids in the aeration tank, concentration of the solids, method of wastewater introduction into the aeration tank, and in terms of aeration time.